Padrón is a classic, sophisticated brand, with an emphasis on quality and tradition. The brand, one of the most highly regarded in the world, has recently celebrated their 50th anniversary in the cigar business, and has emerged into their 51st year with a completely new product, one that took the industry by surprise. Introducing the new Padrón Dámaso, a Connecticut-wrapped cigar with a mild-medium body and a delicate flavor profile unlike anything you’ve seen from this prestigious brand to date! 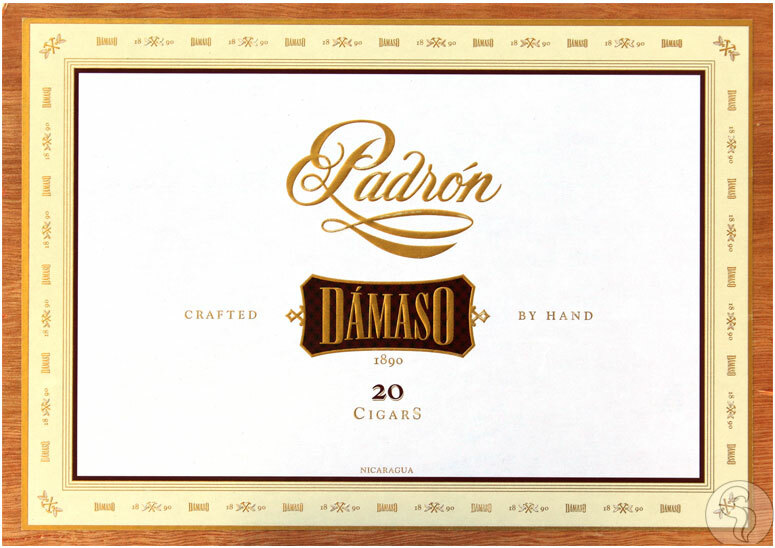 The cigar introduces multiple “firsts” for Padrón, using an Ecuadorian Connecticut wrapper as well as offering the cigars without Padrón’s signature box press shape. Here, you will find the ultra-high quality, consistency, and complexity you’ve come to expect, with a more subtle approach; offering a glimpse at more elegant and precise flavors that may go unnoticed in the brand’s usual full body products. With the Dámaso, expect smooth characteristics of vanilla bean, creamy coffee, cashew nuts, salted butter, and aged tobacco.